As a leader in the manufacturing industry, Future Tool & Machine is committed to solving all of your manufacturing needs including prototype development, assembly, and painting, along with stainless steel, aluminum, brass, and alloy steel fabrication. Future Tool & Machine makes high-quality, complex products from your drawing. We also design, reverse engineer, and help you problem solve. Put our 35 years of industry experience on your team; we want to see your company succeed in today’s marketplace. 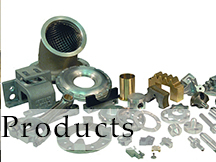 Quality products are what you get from Future Tool & Machine. We make quality our # 1 priority. Our professional staff and first-rate inspection lab will satisfy your most demanding quality requirements and capabilities from PPAP to 1st Article. Automotive manufacturers, automotive aftermarket, aerospace ground support, military, and railroad industries benefit from fixtures, gages, special assembly tooling, and special lifting devices that can make your work place ergonomically safe and efficient. 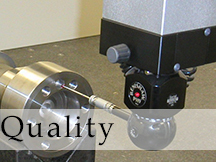 "Excellence In World Class Precision Machining"
Welcome To Future Tool & Machine Inc.
Future Tool and Machine has been an automotive manufacturing facility since 1978 and is known for its excellent manufacturing methods, on-time deliveries, and outstanding quality. 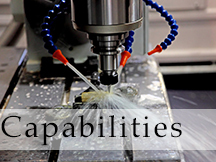 Our state-of-the-art equipment, including 2 full, 5-axis machining centers with up to 30 inches in diameter capability, and experienced craftsmen combine to offer our customers the best capability, customer service, and value in the business. 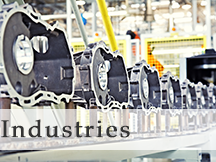 We are a recognized leader in a wide range of industries, including automotive, aerospace, defense, commercial, and more. 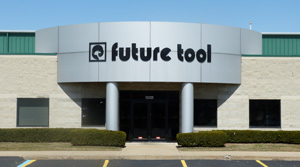 With more than 35 years of manufacturing experience, Future Tool & Machine’s team of experienced engineers employ the latest innovations in CAD/CAM technologies for both 2-D and 3-D C-N-C programming or tooling design. Our extensive knowledge of CAD/CAM allows us to set up and program in hours rather than days. From hand tools to complete stations, ergonomic designs, streamline work cell stations, or special designing – we work with you. Future Tool & Machine can design and build a machine to customer specified requirements, or build to your design. We also provide stand-alone machines, turn-key systems, multi-station C-N-C cells, machine capabilities studies, inspection services, assembly, training, programming, and documentation. Our staff would be delighted to have you visit our facility for a more in-depth look at our operations and capabilities. Click on the button above to get an estimate for your product request. Or you can call 734.946.2100 to speak with a representative.